at 2:41 UT on April 11. In the next 24 hours, more C flaring is expected, with a chance for an M flare. During the past 24 hours, solar wind speed decreased from about 410 km/s to 360 km/s while the Interplanetary Magnetic Field (IMF) magnitude decreased from about 20 to 5 nT. Bz reached -12 nT at short intervals and stayed below -5 nT from about 13:15 to 8:15 UT. The Phi angle switched from a positive (away) towards a negative (towards) sector in the first half of April 11. Over the past 24 hours, geomagnetic conditions have been quiet to active (K Dourbes between 2 and 4; NOAA Kp between 2 and 4) as a response to the elevated solar wind speed and IMF magnitude. 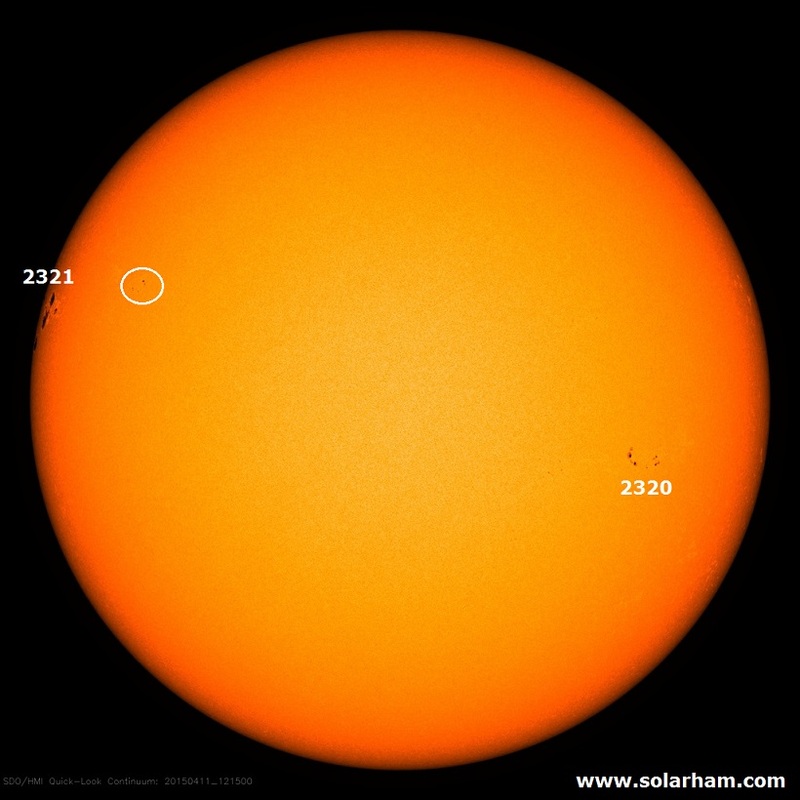 Quiet to active geomagnetic levels are expected to continue for the rest of April 11, while quiet levels (K Dourbes < 4) are predicted for April 12 and 13.